Lexus is poised to introduce their production ready NX line of compact-size SUVs with the first ever turbocharged engine option from the luxury automaker. The Lexus LF-NX Concept was initially introduced during 2013 Frankfurt and Tokyo Motor Shows and its influence is felt in the style of the NX. 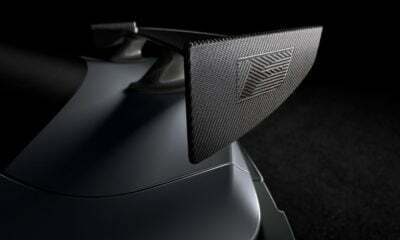 It is scheduled for introduction during the 2014 Beijing Automotive Exhibition on April 20. 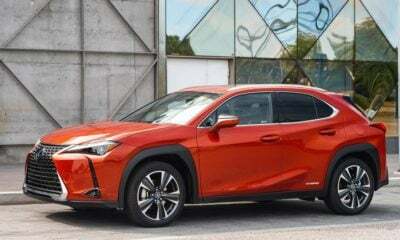 The all-new NX will be offered as an NX 200t, with a turbocharged four-cylinder engine, the NX 200 equipped with a 2.0-liter naturally aspirated engine or the 300h, which is a hybrid gasoline/electric powered vehicle. 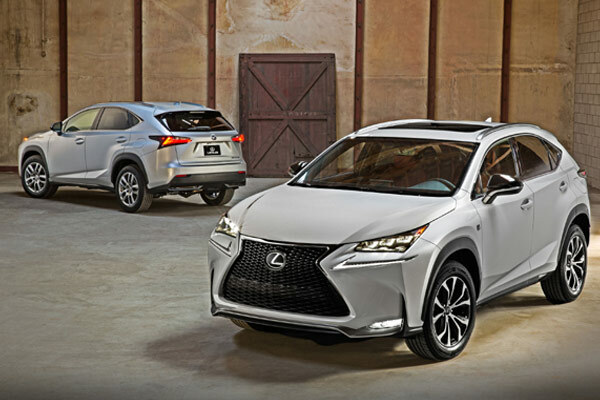 Equipped with a dazzling array of on-board technological features, including a wireless charging tray for cell phones, new remote touch interface with touch pad and multi-function display, G-sensor and turbocharger boost meter, heads up windshield display, all-wheel dynamic radar cruise control, and blind spot monitoring with cross traffic alert, the 2015 Lexus NX will set a new standard in comfort and safety innovation. Lexus expertly utilizes the combination of premium hard and soft surfaces to create a luxurious machine that is on the cutting edge in performance and driving pleasure. Seating is arranged for maximum spaciousness, including the strategic placement of a low hip point to aid in driver and vehicle connection, as well as helping to increase overall head room. The centrally located convenience panel is tastefully arrayed with a silver frame to accent the controls to the fullest. At the bottom of the center stack the Human Machine Interface provides an even greater impression of advanced vehicle design. 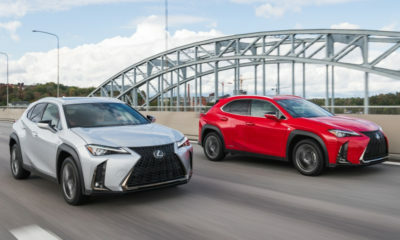 Starting with the trademark spindle front grille and flowing backward over the bulging fender wells, the 2015 Lexus NX displays a low, muscularly aggressive stance with bold styling. Space age LED headlights and daytime running lamps also serve to add to the vehicle’s exceptional amount of curb appeal, along with the roofline which peaks near the rear to create a taut silhouette and provide added headroom for rear seat occupants. Standard equipment is a set of four-specially designed 17-inch wheels but 18-inch wheels are also available. Another first for Lexus, a driver’s door handle with hidden key barrel and integrated lighting, will be standard on the NX. The rear of the compact SUV is as aesthetic as the front, with “L” shaped lenses featuring LED lighting elements and body treatments that echo the thoughtful spindle grille design focus. The 2015 Lexus NX 200t will be outfitted with a twin-scroll turbocharged and direct fuel injected four-cylinder engine that is projected to produce between 225 and 250-horsepower. A naturally aspirated version of the same 2.0-liter four-cylinder engine will be used for the NX200; expect approximately 170 to 200-horsepower. The NX300h should offer a simplified version of the RC300h, with a 2.5-liter Atkinson Cycle gasoline engine and a 105kW electric motor. Total horsepower for the 300h is speculated to be in the neighborhood of 200. Any and all of these engine choices should provide adequate power with extraordinary fuel efficiency thanks to adaptive fuel strategies involving variable valve timing, twin-scroll turbocharging methods, and direct fuel injection techniques.